Progress exists to build a fairer, more forward looking Australia and is the nation’s leading event for campaigners and civil society. 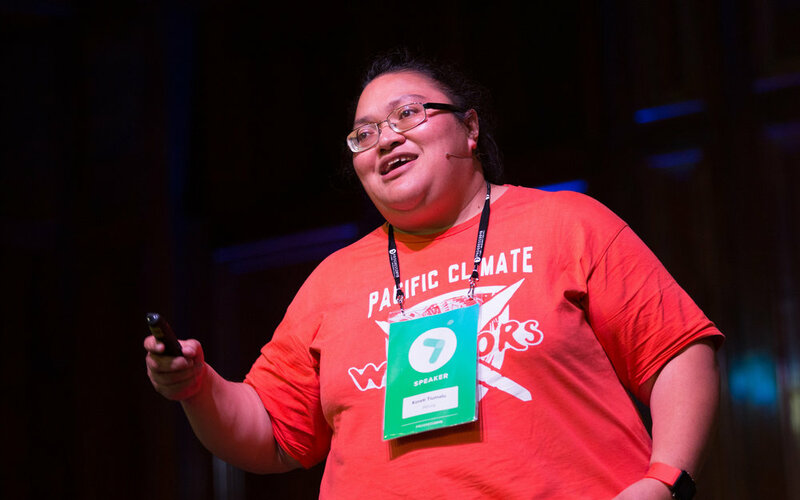 Progress takes place at Melbourne Town Hall, hosts 1200 leaders, and is about building the skills and networks to win on every progressive issue: human rights, gender inequality, Indigenous affairs, environmental sustainability and social justice. Australian Progress exists for a fairer and more forward looking Australia, with a mission to build the advocacy capacity of Australia’s civil society organisations. For their first ever conference, needed to create an event that supported Progress’ strategy to professionalise the sector and move organisations from a culture of passionate amateurism to a culture of excellence. 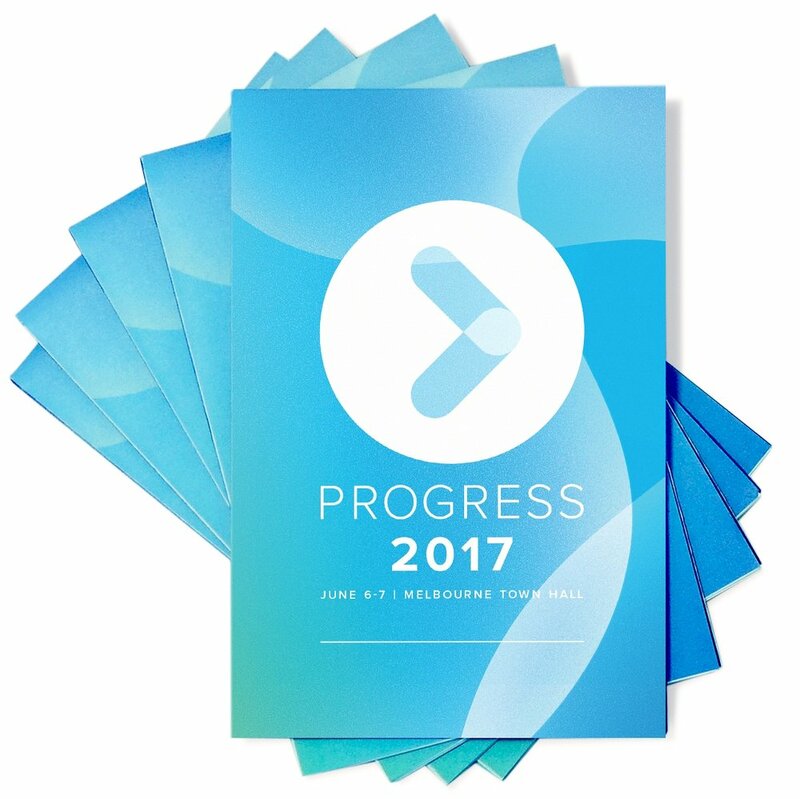 Australian Progress were on a mission, had a solid 10 year strategy in place, and Progress 2013 was the moment they would launch their brand. 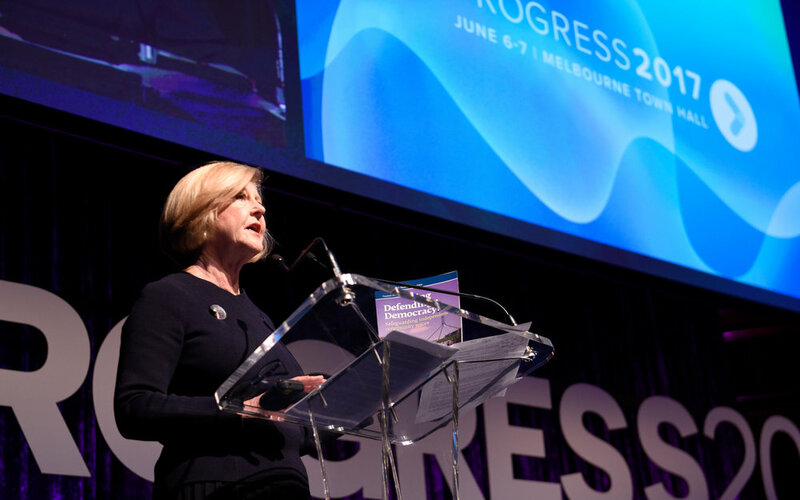 The conference has successfully contributed to Australian Progress being seen today as the leading training and capacity building body for Australia’s progressive sector. Nick was one of Wildwon’s first ever clients in 2013. It has been a pleasure working with him as a champion of considered design and the creator of a new normal for Australia’s civil society sector. 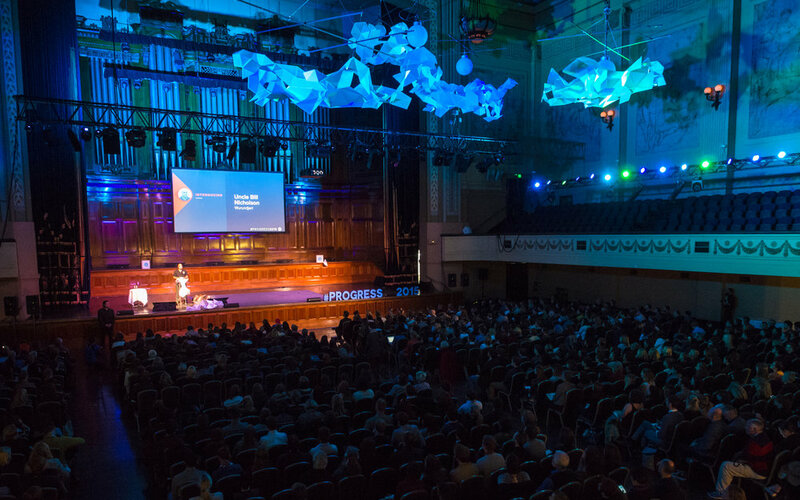 Centre for Australian Progress engaged Wildwon as our experience design and production partner for Progress 2013, a landmark conference of Australian civil society organisations held at Melbourne Town Hall. 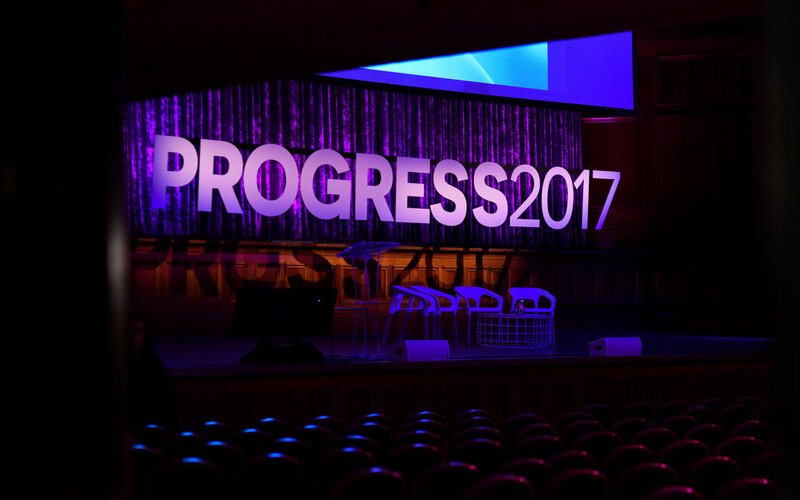 We were so pleased with the experience of working with them that we continued to partner on the event through Progress 2015 and Progress 2017. We were determined to provide an event experience that was different from your typical drab corporate conference, or indeed the type of ‘cheap-looking’ conference non-profit leaders might be used to – and here Wildwon were in a league of their own. They brought an extraordinary network of suppliers, outside the box thinking and in appreciation of our budget capabilities. They were a pleasure to work with and we couldn’t have been more satisfied. 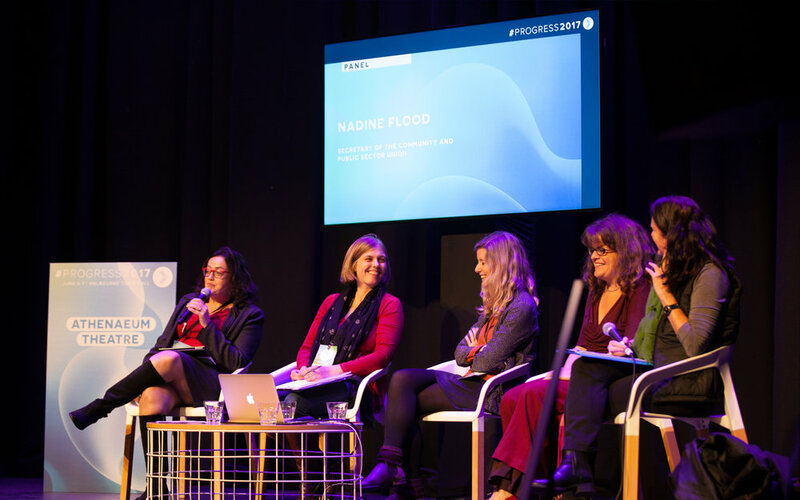 Their unique sustainable catering suppliers, original speaker gifts, striking and contemporary design and theming, and memorable art installation and public engagement exercise set the conference apart and in fact far exceeded our expectations. Today, the mission of Progress is still the same, however each time the event is run we pause to take the temperature of the sector to make sure we are still answering their needs. In 2015, the sector had recently been shaken by the election of Tony Abbott and associated funding cuts. In 2017, the community was feeling adrift, unsettled and deeply concerned in the wake of the internal political climate of Brexit and Trump. 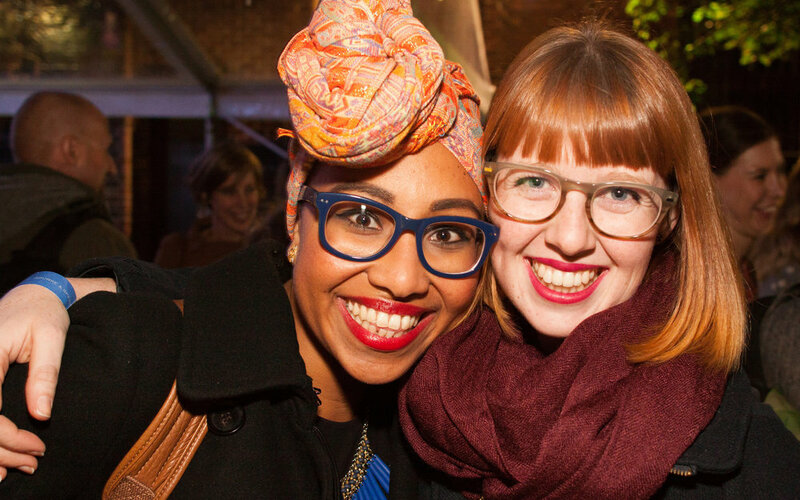 Each year, we developed experience design principles to directly address the challenges at hand for the community and rally the Australian progressive movement to work together and embed a sense of collective endeavour. In the first year, these principles were successfully deployed to help shift the not-for-profit’s perception of itself, as well as external perceptions, from a view of ‘passionate amateurism’ to one of excellence. 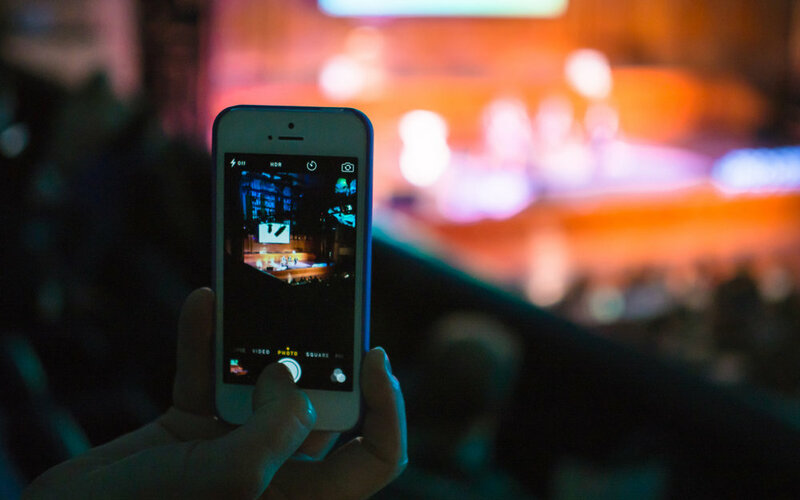 In subsequent years, we needed to answer the call of the particular moment and we did this through tailoring the programming, event design and the key messages communicated in the lead up to the event. In the lead up to the event we designed teasers for social media to help build excitement and promote the event to potential attendees. These were extremely effective in achieving the desired response from our audience, with 93% of surveyed participants embarking on new projects and collaborations as a result of Progress 2013 and 2015. Eight five per cent of surveyed participants attended at least one social function outside of the main Progress agenda and all reported they connected with at least two new people. As well as crafting unique principles, we also created an overarching design concept for each event. The concept for 2017 took its inspiration from how starlings will murmurate together to fend off predators and send vital information among the group. The rhythm they create is mesmerising to watch and shows how individual units can come together to make an intentional pattern of strength. This concept was translated into a huge hanging installation that was created with the help of Space Tank studios and the Brotherhood of St Lawrence. 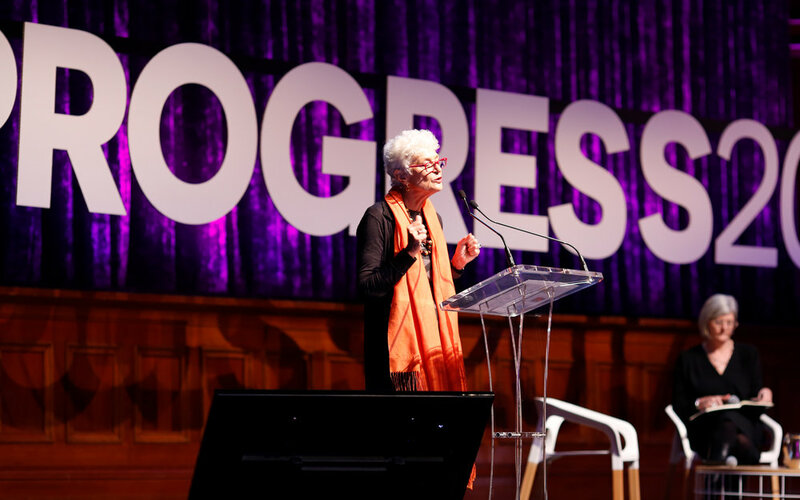 The event needed to rally the Australian progressive movement to work together and embed a sense of collective endeavour in the progressive movement. 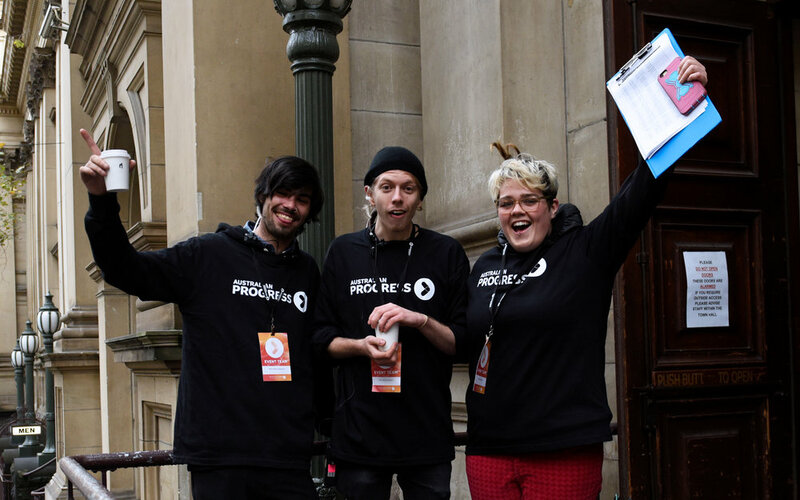 We delivered a complex, multi stream program involving 1,200 participants, 110 speakers, 60 volunteers, 2 social events, 15 sponsors and 70 major NGOs. After 5 years and 3 events, Progress and Australian Progress is going from strength to strength.